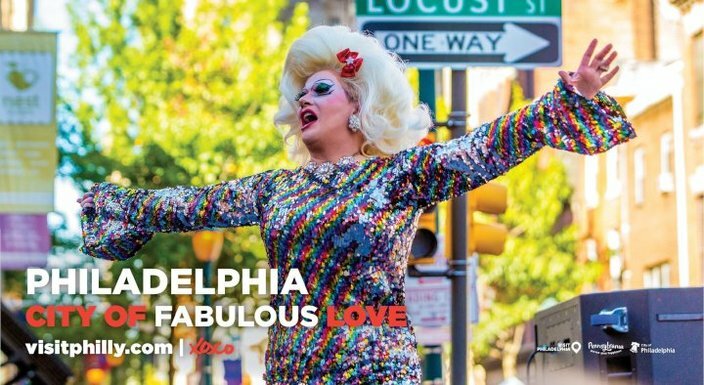 One of the ads VisitPhilly is running in Seattle through November to try and woo Amazon to build its second headquarters in Philly. Philadelphia, by several accounts, is a contender to land Amazon's second headquarters, known as HQ2, and the city is pulling out all the stops in trying to lure the company to its confines. 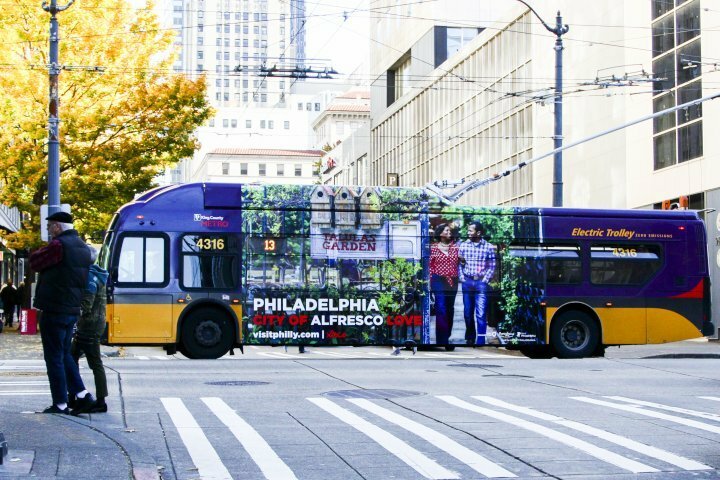 VisitPhilly, the region's tourism and marketing agency, said Tuesday it has launched an advertising campaign for Philly in Seattle, home of Amazon's original headquarters. 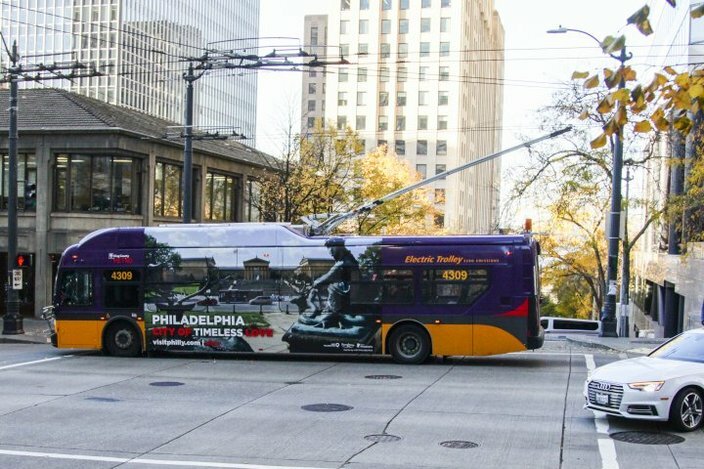 Through Nov. 26, residents of the West Coast city will see 48 ads on public transit as well as promoted social media posts on Facebook, Instagram and LinkedIn. 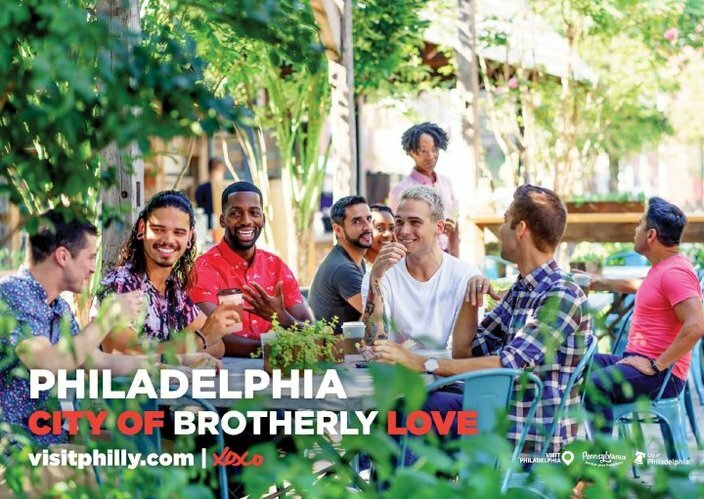 The campaign plays on Philly's famous "City of Brotherly Love" slogan, inserting different descriptors for "Brotherly," such as "Colorful Love" (with a photo of the rainbow crosswalks in the Gayborhood) and "Independent Love" (with a photo of Independence Hall). It's part of a hard push to woo the online retail giant to bring about 50,000 jobs – an effort mirrored by many other cities. Philly officials, who have submitted a formal proposal to Amazon, have tried selling the company on its affordability, talent pool and location in the Northeast Corridor. 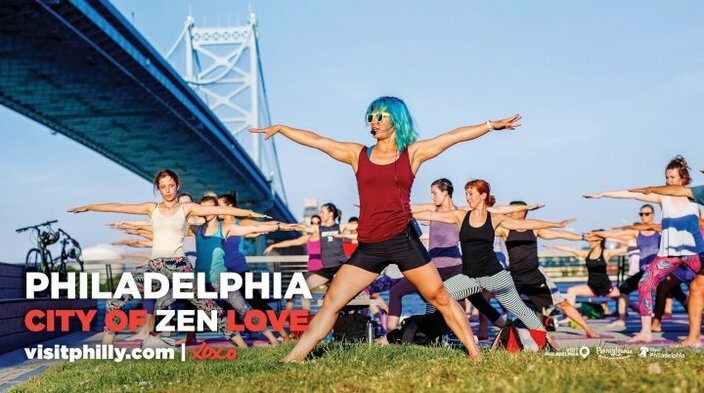 You can see examples of VisitPhilly's campaign in Seattle below.